>> O Taste and see! 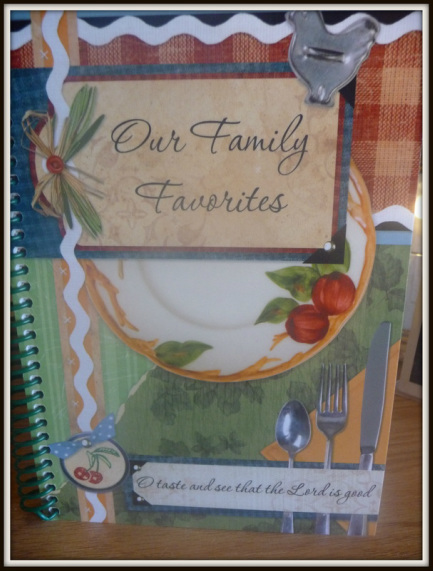 Do you have a favorite family cook book. I have a family member who is a missionary in Mexico and is also a great cook! When she is in the states, we always look forward to a special Mexican meal that she cooks. She also delights in sharing many of her own recipes and others that have been passed on to her. She recently put together a cookbook and gave many of them as gifts to family members. I don’t think I have ever tasted anything she made that was not yummy. Although food is very yummy our greatest desire ought to be to be filled with the Word of God for it is what satisfies us to the fullest! Yes, it is wonderful to have our taste buds satisfied and to be filled with yummy tasting food, but the truth is we need to taste Spiritual food each and every day and satisfy our Spiritual taste buds. If you know Jesus as your Savior, that is how you grow, by tasting His Words every day and realizing that they are more to be desired than fine gold and sweeter than the sweetest thing on earth! If you don’t know Him, I hope you will put your trust in Him today! He will give you an abundant and satisfying life!